Joel Towing-Miami, Florida USA –a small company comprised of two brothers and a father began their operations with a main focal point of purchasing older vehicles in rough shape and crapping them for their metal and parts. To some in the Hialeah community this is a god-send as the monies paid heavily outweigh the baggage that comes with keeping a rusting vehicle on the ront lawn. Many vehicles purchased are not in running order, have insect infestations, and some even house the local rodents. Bottom line, if it’s got metal, they’ll take it. Usual purchase prices range from $300-$450 depending upon the size/weight/condition of the vehicle. Knowing their niche market, the next step was to market their services to the population. Since inception,most of their clientele has been referred to them by previous customers and through word-of-mouth advertising. While these are inexpensive ventures in marketing, they hardly provide a continuous influx of interested parties. Contemplating different alternatives to gain more exposure in the ever expanding competition, the Joel brothers found it difficult to get the competitive edge. Advertising this day andage has become superfluous, so much so that our minds are bombarded with messages thousands of times a day to the point where evolution teaches us to tune them out. Ever see a commercial that intrigues you maybe through laughter or contemplating thought where the next minute later it becomes an exercise just to remember the actual brand or product being promoted? Happens to all of us. So the question is, how can an advertising message be most effectively delivered where one is able to cognitively recollect the brand or company? The answer is SMS messaging. The Joel brothers, in a stroke of genius,got note of this tactic and began their research. Their findings discovered the huge opportunity to market their services to the local community. 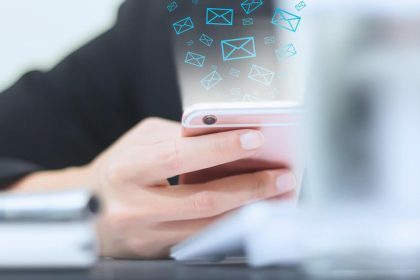 Ican at this point bore you with all the statistical data uncovered as to how likely someone is to respond to SMS vs. email, and how more immediate such a response is,but statistical evidence only tells a small part of the story. Experience will tell mostof it. Without any prior knowledge in marketing or SMS technology and on a whim and confidence in their initiative, the Joel brothers purchased an HG-7000 SMS Gateway with Campaigner software from Hypermedia and began the arduous work of building their client database. Once completed,they began their campaign advertising their ervices through SMS text messages. In a period of 3 months and 4 gateways later, they are basking in their success – increasing revenue by 70%. The break-even return oninvestment on most advertising programs can take months, for Joel Towing, it took a couple of weeks. Now that business is up, the brothers are not looking back on their decision;in fact they have broadened their revenue spectrum to advertise forother on-competing companies via SMS.